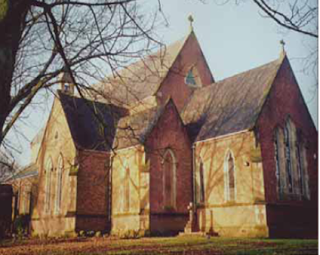 Christ Church is a thriving church on the Northern edge of Ashton under Lyne Town Centre, close to IKEA and situated in a prominent position on Oldham and Taunton Road. We exist to worship God, and to make God’s love and compassion known both in this community and wider world. The formal worship at Christ Church is mainly, but not exclusively, focussed around the Eucharist (Holy Communion), to which all are welcome. The Sunday Eucharist’s are at 8am which is a quiet said service, and at 10.30am where there is a more vibrant atmosphere; hymns are sung and there is a thoughtful sermon. The Wednesday Eucharist is at 10am and there is an emphasis at this service to create something of an oasis in the middle of the week. Attendance at Christ Church is healthy and at all services there is a wide age range with a good number of younger adults and children. Christ Church strives to be a church journeying with God and engaged with God’s mission. The hope is to be a warm and welcoming church, non judgemental and inclusive of all people wherever they may be on their journey. We hope you might feel drawn to be part of Christ Church and we invite you to use this website to discover more of the church’s activity.